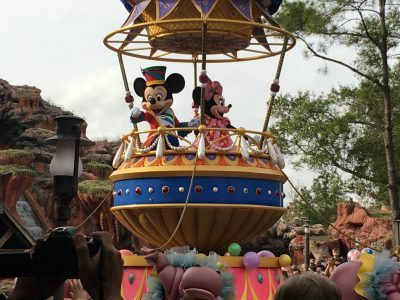 If Walt Disney imagined hosting your 16-person family on vacation at his resorts, he certainly had one vivid imagination for the impossible; and I certainly had fun doing it. Now, there is one rule to having a good time at Disney, both on the cruise and at the resorts. In all honesty, if you don’t apply this rule, you will be spending a lot of time waiting in lines, or missing out on some of the best perks available to you. This one rule is book everything you plan on doing in advance. This means, set aside any thinking you might have that Disney is something you can do ad hoc. You can try, but you are likely to be disappointed. To enjoy it, you have to book it all in advance, otherwise you won’t get to everything you want to do, or can do, in the time available. When you get your cruise/resort package in the mail, they give you a date on which you can begin to book your adventure. On that day, wake up at 4am and book everything you want to do. This includes your Disney Fastpass for lineups. Do not try to wing this. On the day you arrive at the resort (we picked the Magic Kingdom) you will find every major ride is booked up within 30 min of the park opening and you will be in lineups all day. 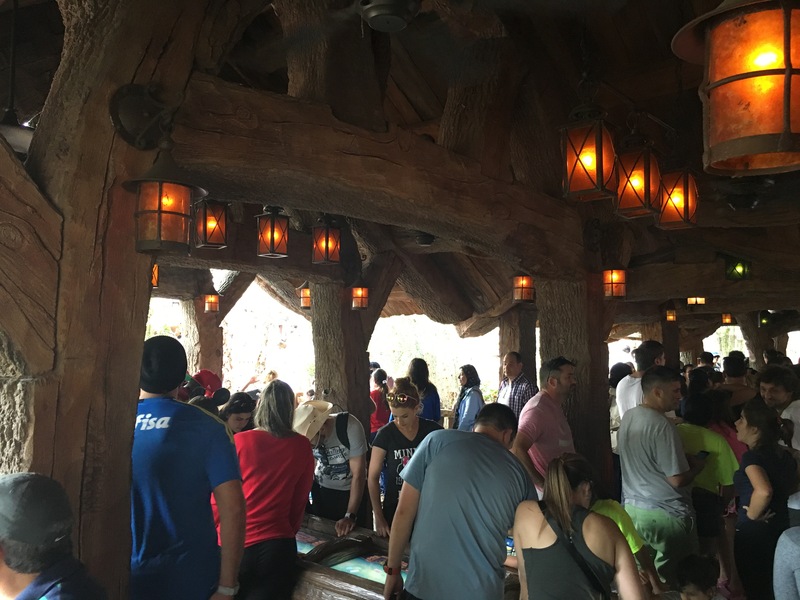 Lineups, especially on the most popular rides, run in the 120-150 min range without Fastpass, and watching your fellow Disney travellers waltz ahead of you in the Fastpass line will become vexing quickly. The other thing you need to book in advance is your premium dining. Now if you are a foodie, like I am, there are some amazing restaurants in the Disney family. Our family was cruising on the Disney Dream, and it had two premium dining restaurants, Palo and Remy. Palo was an à la carte Italian restaurant and the Osso Buco lived up to its billing. 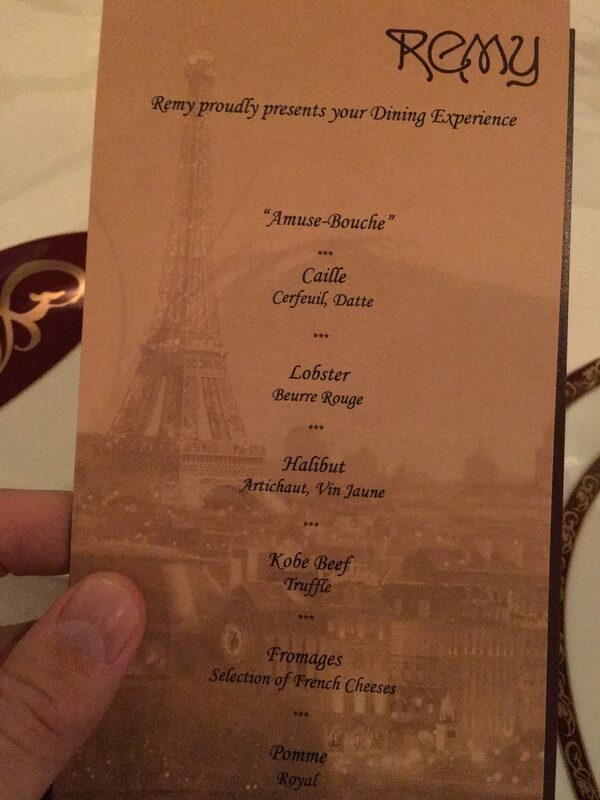 Remy was a fixed menu set by two of the world’s best chefs, one the American head of the world class Victoria & Albert’s Restaurant at Walt Disney World and the other a two star Michelin chef from France. Set with the right wine pairings we left full of truffle sprinkled goodness. That isn’t to say the standard dining is lacking in any way. My son raved about the burger we had in the Magic Kingdom, and I’m happy to say the hot dogs they served in the park where really good as well! One of the best things to book on the cruise is a cabana on the private Disney Island. This gives you your own area on the beach, as well as snorkelling gear and private golf cart transfers to and from the boat. The snorkelling is terrific and Disney created a fantastic underwater park to swim through, complete with artificial reefs and statues of Mickey Mouse. Throw in a massage on the beach as well and you will head back to the boat relaxed and refreshed. 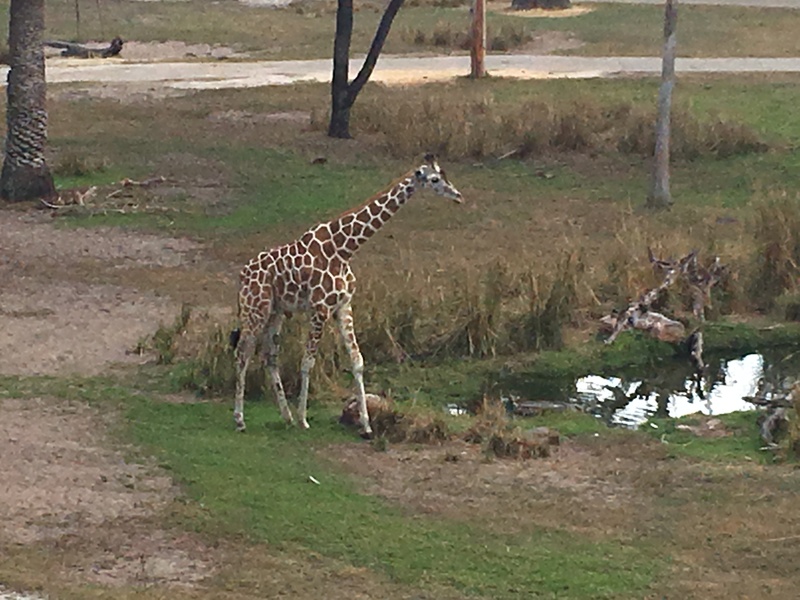 At Walt Disney World, we stayed at the Animal Kingdom Lodge, with a room overlooking one of the many park’s savananhs allowing us to watch giraffes and zebras from the balcony. It really made for a special trip and the kids really enjoyed their stay at the hotel. One thing we missed out on booking in advance was the night trip through the park, allowing us to see the animals with night vision goggles. At the front desk they told us that the night trip through the park only takes 10 people out per evening and books up months in advance, taking me back to rule number one; make sure to always book in advance! Before you go, you will want to download the Disney cruise and park apps for your smartphone. Login with your Disney account and you will be able to see your Fastpass bookings, dinner reservations and spa appointments. You will also be able to see the wait times for rides you don’t have Fastpass for before walking across the park. On the boat, the app allows you to text message your fellow passengers, allowing you to stay in touch over the boat’s WiFi network. This will help you track down your party when you need to get to your dinner reservation on time.